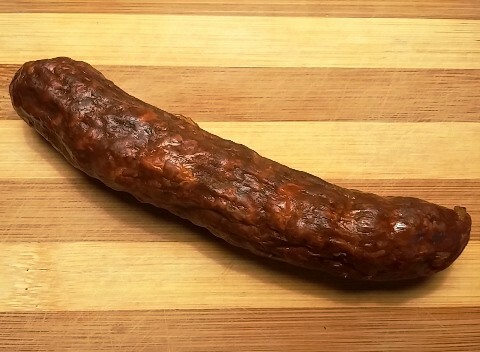 Recently I had the very good fortune of once again enjoying some of the amazing Spanish chorizo made in Boise, Idaho where there is a very active Basque community. It had been way too long since my last bonanza, and this was just as good as I remembered! Try throwing a few of these incredible sausages on the grill, and you will know what I am talking about. 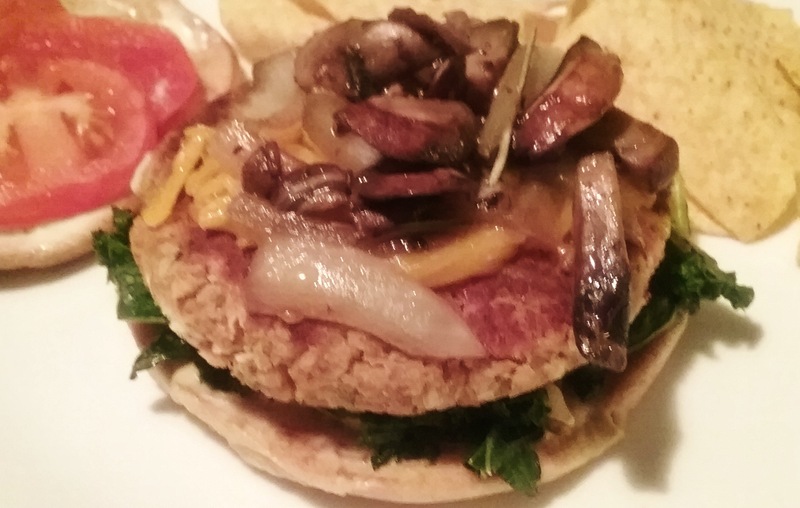 We gorged ourselves silly and could eat no more, yet I still managed to stash a few in the freezer for another day. Yes, this lean sausage is the stuff that dreams are made of: cured pork predominantly laced with garlic and pimentón―a Spanish paprika that ranges from sweet to hot, and is often smoked. If you enjoy the nuances of smoked flavoring, this luxe seasoning is definitely worth seeking out. It has endless applications beyond beans, sauces, marinades, salad dressings…it’s even tasty on buttered popcorn. 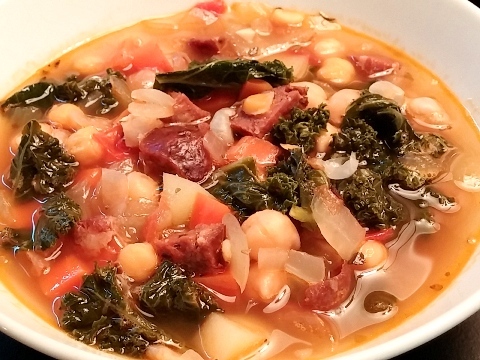 This past weekend I knew I had another winner on my hands when I decided to whip up a quick soup with kale and garbanzo beans. How lucky was I to have just enough Spanish chorizo in the freezer to elevate this to a world class soup? 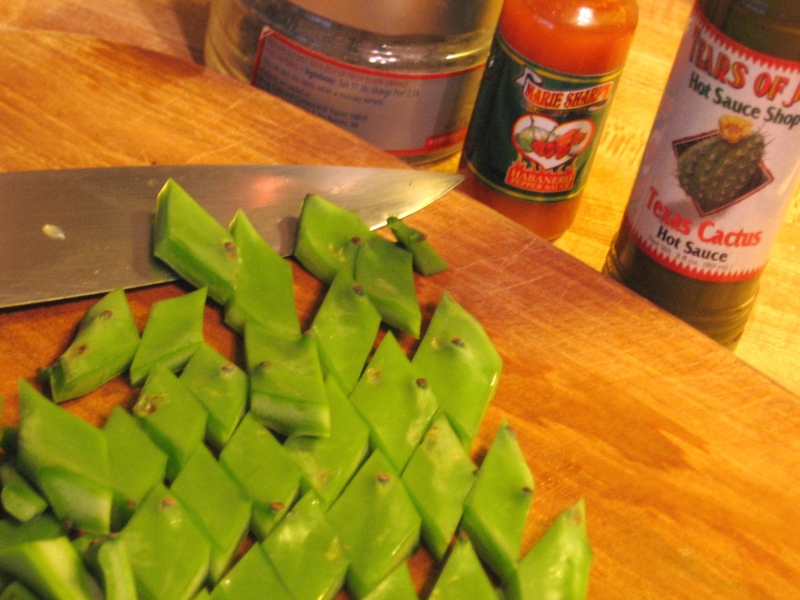 All it needed was a dash of pimentón for added depth and a splash of sherry vinegar for brightness. So simple, so stylish… so good! Note: Spanish chorizo should not be confused with the popular Mexican varieties which tend to be softer due to a higher fat content, and flavored with cumin, chilies, and other traditional Mexican spices. Both chorizos are delicious, but they are absolutely nothing alike. Over medium, heat the olive oil in a soup pot; add the onion and garlic and sauté until aromatic, 3-4 minutes. Add the chorizo, carrot, oregano and smoked paprika and cook 5 minutes. Stir in the tomato, salt and pepper, the garbanzo beans, chicken stock and bring to a simmer. Add additional water as needed for a stew-like consistency. Just before serving, add the sherry vinegar and the kale or escarole and simmer briefly until wilted. Adjust seasoning and serve. Yield 4 servings. Cooking in a small kitchen requires ingenuity and resourcefulness: a small space has limited storage and requires tough choices: like how much heirloom china do you really need?… and severely cutting back on pots, pans, and accessories. It means taking a close look at every day food choices and meal planning―to the point of rating what falls into the category of ‘food staples’. 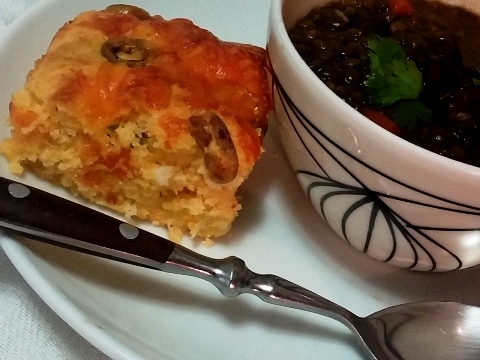 Such was the case recently when I threw together a lovely le puy lentil soup, replete with carrot and Spanish chorizo. Yes, it was quick to make, but it was also ready and waiting because I had failed to considered what to serve along with the soup. An oops. I spotted a kid’s size bag of Betty Crocker cornmeal muffin mix… what about that? And then, there was the remnants of a jar of sauerkraut in the fridge; not a bad addition to counteract the questionable sweetness of the boxed mix… and while at it, I grabbed some plain yogurt for a little more tang and further lighten it. I quickly chopped up a handful of vegetables for color and crunch, added a few sliced olives, and finished it all with a dusting of grated cheddar cheese on top. Into the oven it went for a quick bake. Truth is, it’s hard to screw up these packaged mixes; they are very forgiving. But how do you elevate them beyond mundane? The sauerkraut became an undetectable mystery ingredient that blended with the other vegetables, plus it served to ameliorate the mix’s inherent sweetness and create a little more interest and punch. You could say I was thinking out of the box―and it was definitely ready in a Jiffy. Preheat oven to 400 degrees. Spray or butter a 7″x5″ (approximate) baking pan or dish. In a 1 cup measure, place the yogurt and enough milk or water to equal a generous 1/3 cup and blend well; add the egg and olive oil, and combine well. Place the cornmeal muffin mix and additional cornmeal in a medium mixing bowl. Gently stir in the yogurt mixture, sauerkraut, green onion, jalapeno pepper, and about 1/2 of the sliced olives, mixing only to moisten but not over blend. Spread the mixture evenly into prepared baking pan or dish. 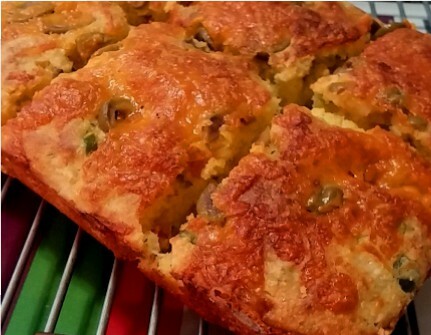 Top with remaining olive slices and sprinkle with cheese. Bake for 15-18 minutes, until the top is set and cheese is melted. Let cool briefly and cut into 6-8 servings. 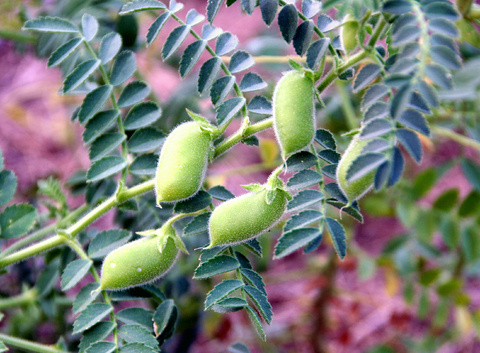 Whatever your preference, chickpeas, garbanzo beans, ceci beans, chanas, Indian peas, or bengal grams… they have a long history in world cuisines with credits dating back over 7,500 years as one of the earliest cultivated vegetables. In early antiquity, chickpeas were associated with Venus and revered for medicinal attributes linked to increased sperm and milk production. The Roman gourmet Apicius offered several recipes for chickpeas. Culpeper found “chick-pease or cicers” less “windy” and more nourishing than peas. In 1793 a German writer noted that ground roast chickpeas were considered a suitable coffee substitute. It’s hard to compete with garbanzos when it comes to nutrition, they are a good source of zinc, folate, and protein. They are very high in dietary fiber and a good source of carbohydrates for those with insulin sensitivity or diabetes. 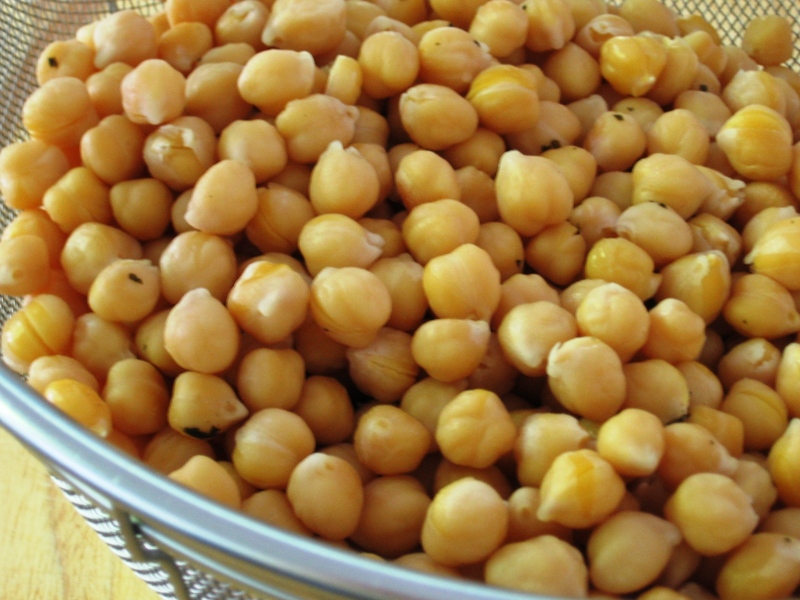 Chickpeas are low in fat, mostly polyunsaturated, and are also an excellent source of the trace mineral manganese, which is an essential cofactor in energy production and in antioxidant defense. Garbanzos provide dietary calcium with some claims of content at about the same level as yogurt and close to milk. I enjoy their nuttiness, their slight crunch, and the extra dimension they provide, but I’m a little late to the game when it comes to appreciating the full capabilities of these mighty legumes. In my pantry there’s always a can on the ready for when I’m craving hummus, or need a quick addition to a salad, soup, or stew. Admittedly, since I have always relied on the convenience of canned varieties it never occurred to me that I could actually cook my own from the dried state. It seemed like a lot of work for one can’s worth. But, thanks to the arrival of my new pressure cooker the world looks different these days, and life has morphed into a garbanzo bean bonanza. I’ve discovered that given a night of pre-soaking, it only takes about 10 minutes before I am totally surrounded by a full pot of these lovelies. Instead of cans, my freezer is now stocked with quart bags filled with cooked ceci beans. Released from this unnecessary stinginess, I plan to take full advantage of my new store of frozen garbanzos. 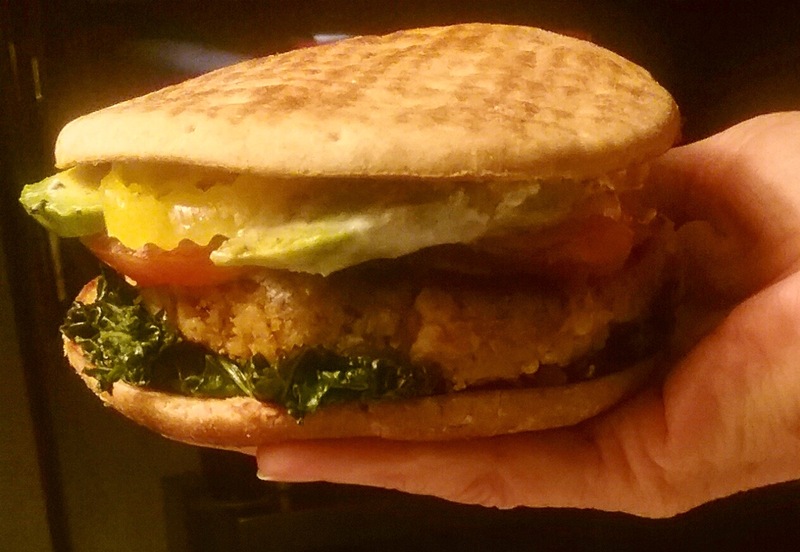 Beyond the obvious, there will be more tajines, curries, and stews, probably more exotic veggie burgers, I’ll even spice some up for snacking; and maybe I’ll find a good falafel recipe that uses cooked chickpeas instead of its flour. 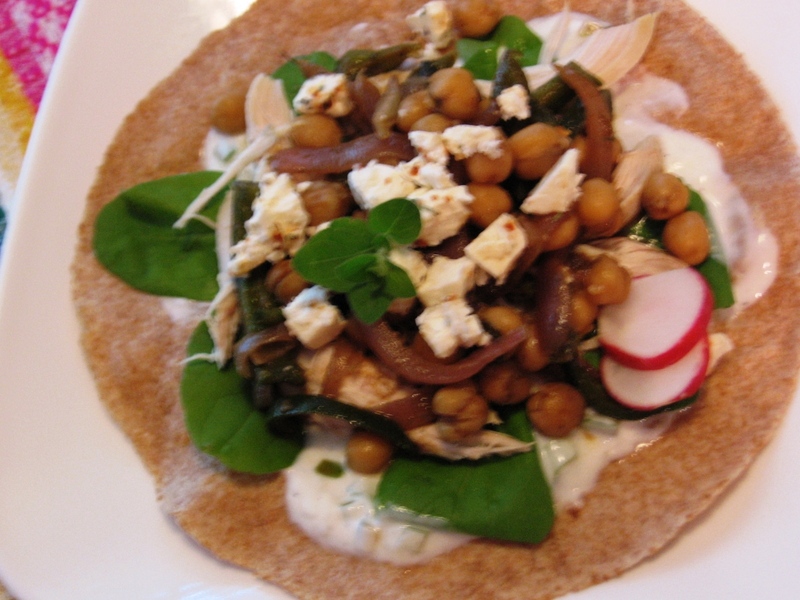 Here’s an idea expanded from Spicy Garbanzo Burritos, by Lynne Rossetto Kasper at Splendid Table. Tacos and burritos fixings are a standard in my kitchen, and this offers a ton of options for quick meals. The flavors are reminiscent of the Mediterranean, yet melded with Latin touches a dynamic partnership is formed. I have included chicken here (because I had one cooked breast on hand), but it is optional; the satisfying garbanzo beans can easily stand alone. 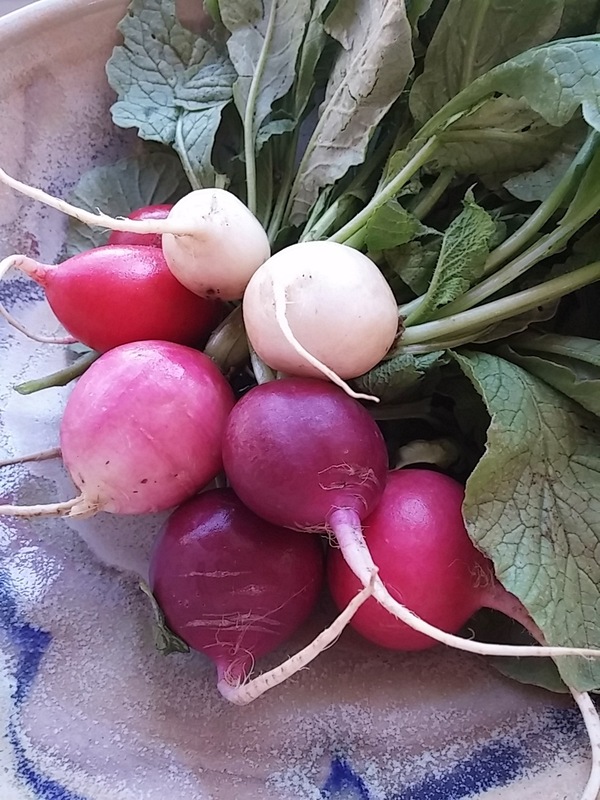 Inspired by a recipe from Lynne Rossetto Kasper’s Splendid Table early newsletter. Heat a large sauté pan over medium heat and add the oil. Add the onion and toss to soften, then add the pepper and cook 2-3 minutes. Add the garlic, the cumin, red pepper flakes, oregano, paprika and sauté to blend flavors. Add the garbanzo beans and cook for 5 minutes, stirring and adding liquid to moisten if it becomes dry; season with salt and pepper. For sauce: combine ingredients and set aside. I’ve noticed my cooking routine has changed with my increased use of whole grains, legumes, and beans. I’m planning more meals ahead and precooking those time-consuming staples for convenience later in the week. I’m cooking more in stages, always looking for ways to streamline so that when it’s mealtime I can enjoy cooking as much as possible. For months I have been eying pressure cookers―tempted, but unable to get passed that lingering anxiety of hot exploding objects. It seems no matter where I turn lately, someone is talking about how they love their PC. On the Food Network I watched Trisha Yearwoodand a girlfriend effortlessly whip up a batch of mashed potatoes in what resembled the Fagor PC I have been considering. I visualized myself, lid in hand, standing over my mashed potato filled pressure cooker, smiling confidently, too. In that moment, my fear was replaced with desire―and there was no turning back: I was all in. 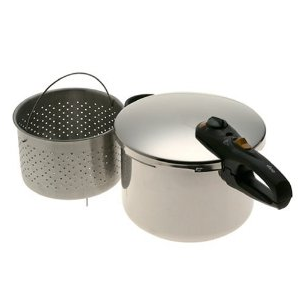 This week my Fagor Pressure Cooker arrived and I have kept my mitts on and faced the demons. There have been moments when pressure was building (or releasing) and I wondered if I would be rocketed into the third dimension, but it didn’t happen. Yes, it’s all a learning process, and I’m gaining confidence. The trickiest part has been to determine the best heat setting on my electric range that will mesh with my PC and maintain the proper pressure level. After a preliminary run through to test my new equipment, I launched my first official project: chicken stock. I added my usual onion, celery, and herbs to assorted chicken parts and bones defrosted from the freezer, and covered it all with water. Since directions suggest moving the PC between two electric burners to maintain pressure, one on high, the other on a low setting, I juggled between burners and held my breath for 20 minutes. Once the pressure subsided I opened the lid and peered in: there was still plenty of water and nothing had burned. I had two quarts of chicken stock! I have since tested both lentils and buckwheat, with varying degrees of success. 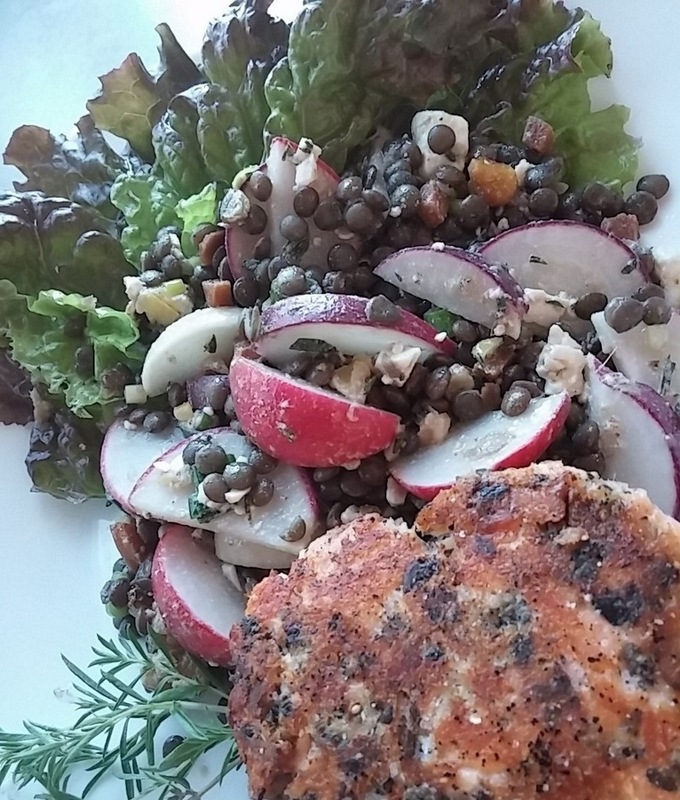 Erring on the side of caution, the le puy lentils needed a bit more than the meager 4 minutes cooking time (how bad is that?!). But, I would rather have them al dente than mush, anyway. The kasha took longer. The directions suggested letting it cool naturally in the pot, which cooked it too long and it stuck to the bottom surface. Fortunately, it was not burned and came off easily. This morning’s breakfast: steaming hot kasha with a snappy banana-yogurt sauce. All smiles here. It’s hard to believe that I didn’t get my fill of those big Texas flavors, but one of the first things I did on my return from Austin was whip up a big pot of chili. Actually, I’d had my fill of meat and was ready to experiment with a lighter version ― one with zesty chili flavors featuring grains, legumes, and more vegetables. Yes, this zippy riff has plenty of vegetables and such, but I prefer not to call it ‘vegetarian’ chili since that label suggests an attempt to pass it off as a dreary substitute for the real thing. 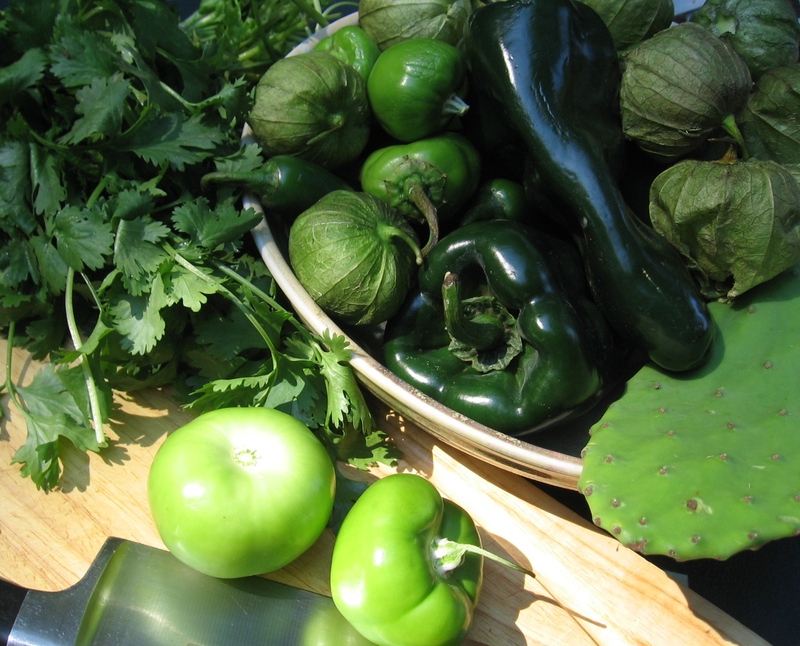 Instead, here tomatillos, cactus paddles, assorted chilies and peppers lend complexity and a definite piquant bite. The generous combination of legumes, hominy, corn, and bulgur wheat offers plenty of supporting interest and satisfying texture. 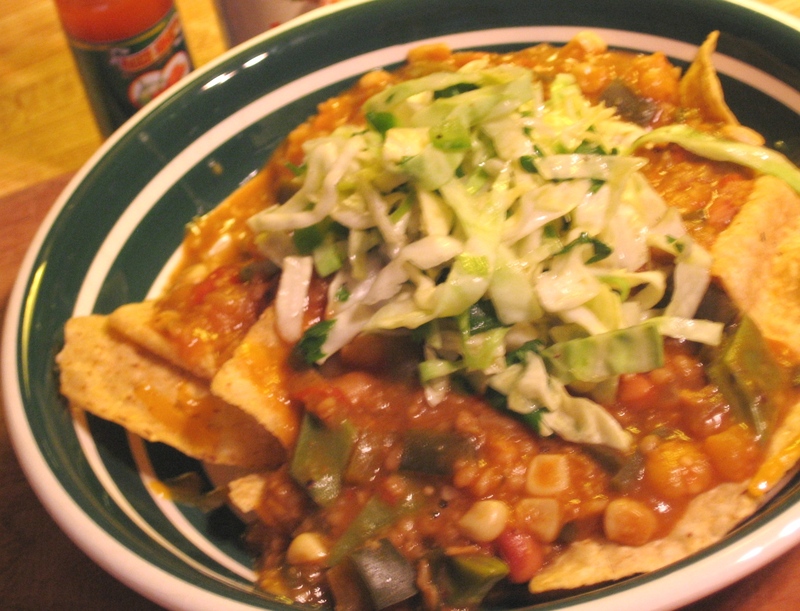 Serve the chili over tortilla chips coated with melting cheddar and top it with crunchy Cilantro Cabbage Slaw mentioned in previous postings here. For added heat pull out a nice sampling of tasty Texas hot sauces. Soak the bulgur wheat and set it aside. In a deep pot, sauté the onions and garlic in oil until softened, about 10 minutes. Add the oregano, cumin, chili powder, smoked paprika, cinnamon and toss to blend flavors; season with salt and pepper. Add the tomatillos, toss, and add stock or water to cover, about 2 cups. Simmer approximately 20 minutes, or until tomatillos are soft and begin to fall apart. Add the diced tomatoes and simmer gently an additional 15 minutes. Use a wooden spoon to further break down the tomatoes if necessary. Stir in the chopped peppers, 1 cup stock or water, ½ tsp Worcestershire; simmer an additional 15 minutes to soften and develop flavor. Add the bulgur wheat, white beans, black eyed peas, hominy, orange juice and simmer an additional 10 to 15 minutes (to further, add the cornmeal if desired). Add the corn and nopales and simmer 5 minutes. Don’t overcook the cactus. Adjust flavors.